Although the article's primary topic is about McGaw-Hill using the word 'workers' rather than 'slaves' in a Map text bubble, what I immediately noticed when I looked at the referenced Map, was that the majority of American Counties are designated as German descendants (light blue on the map nomenclature). And it looks like only Southerners identify themselves as American. I knew there were a few German descendants in the country (I even know a few), but the majority? 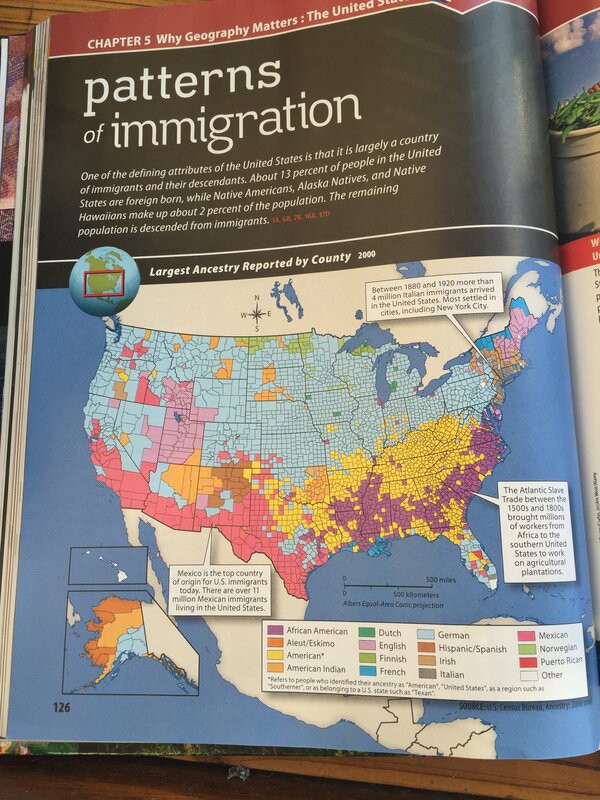 I don't think McGraw-Hill knows very much about the history of this country. This article by The Atlantic, is drivel, spouting falsehoods as if they were truth. In that respect, the Atlantic is very similar to most of the preferred history promoted by the state. As for the map, it is even more misleading than election results based on showing winner take all electoral votes. At least the electoral voting sometimes shows majorities. McGraw Hill is getting very sloppy. Yeah, sloppy--but it's a textbook. What I'm having trouble with is why the supposed German heritage. The entire map is 90% rubbish based on biased data collection. freedom; I get what you're saying. But typically these types of 'skewed research' have a driving motivation or agenda to obtain the 'results' they're trying to convince us of. Why in the world would they try to show that the US has such a large area with 'German heritage' vs any other? I don't see the point of that either, Zen. But they probably got what they wanted in the south, by eliminating all the white anglo-saxon influence that exists in reality and replacing it with the African minority, and subservient neutered 'american'.